In a world where consumers are increasingly wary of credit even as they want the convenience of plastic, the idea of prepaid debit cards is catching on. Prepaid debit cards (also known as "prepaid credit cards") are branded with the logo of well-known credit companies, and they are accepted where credit cards are used. What Is a Prepaid Debit Card, and How Does It Work? A prepaid debit card is not the same as a credit card. It is also not the same as a regular debit card. In some cases, a prepaid card is even used as an alternative to regular checking (and sometimes savings) accounts. A prepaid card carries a credit card brand logo (for example Visa or MasterCard), so at the cash register, it acts the same as a credit card. However, a prepaid card is not a credit card. A credit card offers you a line of credit that you can draw on. You borrow every time you use a "regular" credit card. When you use a prepaid debit card, though, you are drawing on money that has already been deposited into the card account. In order to use a prepaid card, there already has to be enough funds. Prepaid cards are also sometimes used as alternatives to bank accounts. Because they work like a credit card or a debit card, it's possible to use them as forms of payment at the store, as well as to pay bills (including online bill pay and automatic withdrawal). You can add money to the card, including having it automatically deposited from your paycheck. In some cases (but not all), it is also possible to designate some money as "savings" and earn interest on it. A credit card charges you interest; some prepaid debit cards give you a chance to earn interest. Prepaid cards are very straightforward. You purchase the card, and you "load" a money on it. You designate how much money you want to access with the card, and deposit the money. Purchase the card at a retail store, using cash, credit, or debit. You can purchase a card "preloaded" for a certain amount, or you can specify how much you want on the card at the register. Buy the card online, using credit or funds transfer, and have it shipped to you. Direct deposit from your employer or bank onto the prepaid card after it has been purchased. Some prepaid cards allow you to designate direct deposit, allowing you to use the card in a way similar to a bank account. Once the money is loaded onto the card, you can use the card just as you would a credit card. 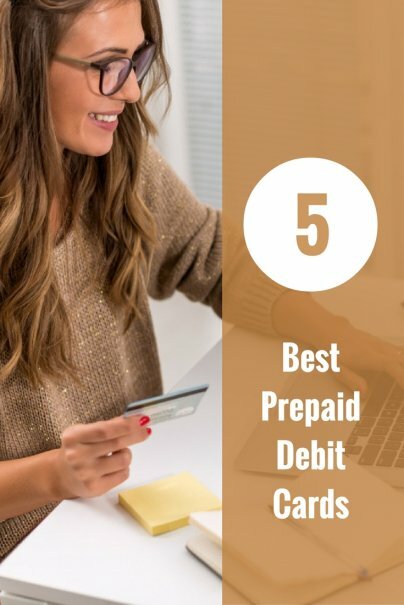 Additionally, it is often possible to use your prepaid card as a method of bill pay (including online bill pay), as well as withdraw cash from an ATM. While a prepaid debit card has the look and feel of a credit card, there cannot be enough emphasis on the fact that a prepaid card is not a credit card. You can't charge more money than you have, so once you have used the money on your card, you need to add more funds if you want the card to keep working. Additionally, your prepaid card will not impact your credit score in any way, no matter how often you add money to your card. Prepaid cards are not for everyone. Here are some things to consider. Prepaid cards have been disparaged quite a bit recently due to the number of fees usually charged by issuers. Even though there are advantages to prepaid cards, including the fact that you get the convenience of plastic without worrying about high interest rates, the fees charged can be a big turn off for many consumers. One of the most common fees amongst prepaid cards is the monthly maintenance fee. On top of that, many prepaid cards charge you for calling customer service, inquiring about your balance, reloading the card, activating the card, and engaging in other actions. Just using a prepaid card in a way that many consumers consider "normal" can lead to fees. As the fees add up, they erode the actual amount of money you have access to. The main advantage offered by prepaid cards is it offers the convenience of a credit or debit card but without the risks of overspending or overdrawing. This is a great option for parents as a way to offer financial assistance or for young adults who prefer a simple way to manage a budget. Another advantage with some cards is that you can earn a yield if there is a savings option. Not all prepaid cards offer a savings option, though. And, among cards that do offer a savings option, not all of them will pay you an interest yield. One of the first things to look for as you choose a prepaid card is the fee schedule. Pay attention to the number of fees charged and the actions that incur them. Try to find a card that charges minimal fees, or that offers a way to waive certain fees. If you want a way to set aside money, choose a card with a savings option. If you primarily want to pay bills, find a card that offers you the option of free online bill pay. If you plan to give the prepaid card to your teen for allowance, focus on a card that is easy to reload regularly — and that doesn't charge a fee each time you load the card. Here are a few good options when choosing a prepaid card. A newcomer to the market, the Kaiku® Visa® Prepaid Card claims some of the lowest fees in the industry. There are no maintenance fees when you direct deposit $750 per month, and no ATM fees if you use one of their 55,000 in-network Allpoint machines. It features mobile check loading with the Kaiku app. Choose from six eye-catching vertical card designs. The fun thing about Card.com is you can choose from thousands of cool designs. There are no overdraft fees, no late fees, no minimum balance, $0 sign up fee and no credit check. The fees you do have to pay attention to include a $9.95 monthly fee (which is waived if you load at least $1,000 in the prior thirty days via direct deposit), $2.95 ATM or over-the-counter withdrawal fee, and a $0.95 balance inquiry fee. They also have a feature where you can share money with your friends and family through their CARD-2-CARD feature. Here's a prepaid card for serious savers. The Mango Money prepaid card allows for you to save money, and it offers an APY of up to 6% (best results are for those signed up for direct deposit and have less than $5,000 in their accounts). Even the 2% APY offered for those who don't do direct deposit beats many "high yield" accounts. There is a monthly fee of $5. However, the fee is waived if you have $800 or more in direct deposits. There are ATM fees, but they aren't out of the ordinary, and you can check your balance online for free. There are no sign up/activation fee, bank transfer/load fee, or customer service fees. The Green Dot Card has long been known as a leader amongst prepaid cards. You can avoid the $4.95 activation fee by purchasing the Green Dot card online, and there are no ATM charges (if you use a MoneyPass ATM). The monthly fee is $7.95, but it's waived if you load at least $1,000 to the card each month. Among the 5 Prepaid Debit Cards, I prefer the American Express Prepaid Card most. The fact that it doesn't have much fees edges it out compared to the other prepaid debit cards. Although the rewards program of Wired Plastic Visa is enticing, the accompanying fees aren't. I don't have any thoughts yet about getting one but this article has given me great insights on these kind of cards. Thanks a lot Miranda. Thanks for dropping by. I personally don't use prepaid debit cards. I prefer credit cards. But mainly because I like to rack up the rewards -- without paying interest. So many prepaid cards come with fees and hassles. If I were to choose a prepaid card, though, I would probably use the Mango card, and deposit money regularly to avoid the fee. The yield is pretty solid. I would use it as a savings tool. IMO the Wired Plastic VISA, look great,and always sustain reasonable fee(s)for per upload,still has not risen,at all. i love it. the yes benefit(s)quite enticing is true.and that is a reason why i always shall utilize when warranted,wired plastic.i know it has some bemoaning over it,not me, and i've been with wired for years. I LOVE-VISA WIRED PLASTIC DEBIT.I.E. if i cancel a purchase etc.awaiting my store refund within usually 1 to 2 days they say it will arrive on my VISA debit card and it usually is on there same/next day! I check on net it appear on mi card so fast! I love that. no problem there at all. (as other cards i.e. NET SPEND is the worst debit where,you have to literally mail in info,just to sign up at times,yet is not even a real credit card,stupid imo. Wired circumvent my mailing address,and everything so fast,no big deal to them,as far as that goes. I used to love more the WESTERN UNION MONEY WISE DEBIT, no more. (they used to allow pymt.to be added up to ten times a day! IF your expectig wired pymt.from w.u. only mi wired plastic,when i m not using mi bank account(s) at wells fargo. at all! i love this card.I really hope Wired Plastic VISA remain longer than the few years i have remain a loyal happy satified VISA DEBIT customer. I know that not everyone can get it, but for those who can, I highly recommend the USAA Prepaid card. It's intended especially for tweens & teens as a way to learn to handle their money. There are no fees & it's really simple to setup online. I'm thinking of getting one of these to use for purchasing gas, right now the way I budget is the envelope system, but I think this would be more convenient since I could use pay at the pump. I use the Rush prepaid debit card. There is free direct deposit and you can use it to pay bills online with no cost. Now there are some costs involved. There is an activation fee. If you add money to the card (Walmart) there is a fee. Every time you use the card for a swipe purchase there is a fee but there is no limit to the amount you an use or take as cashback. I would take out all the money I could when I needed it. But I found that I could manage my money easily. The fact there was a fee on each swipe stopped many of my impulse buys, saving me money. Someone has stolen my debit card information and has been using it for online purchases. This card was used primarily for bill pay and online prchases. My brother recommended that I stop using my debit card online and suggested that I buy amazon or itune gift cards instead. Which would be more advantageous - A prepaid credit card or amazon/itune gift cards? Thank you in advance for your insight. I agree that you should not use a debit card attached to your checking account online. The protections with a branded debit card, while similar to those offered by credit cards, are not quite the same. And it pulls from your checking account, so that can be a serious problem. A prepaid DEBIT card can be an option. You can also use PayPal at many merchants. Also, a regular credit card can be a good choice. I'd be more in favour of giving people common sense advice that help them to become financially savvy. As a product, Prepaid Debit Cards are simply not a good idea! I would use any of these cards except Greendot. Greendot card has the worst customer service ever and they have fee's for everything. I was using the card outside of the USA and they charged double fee's for using the card at ATM's with a foreign transaction fee + an ATM fee. They charged a fee for every single time I used the card. Then they decided that their card could not be used outside of the USA. First they restricted its use to ATM's which was frustrating and then just about 6-8 months later, they restricted the card completely from being used outside the USA. Furthermore, they didn't give any warning and I was using this card as a primary card. They didn't email these changes to anyone, they just stopped their use which left me in Ukraine without any way to get money, even from a bank which left me stranded in a foreign country with no money. If it wasn't for the ability to take the money off my card using PayPal and then having a family member Western Union the cash to me, I would have had no money and stuck in a foreign country. What's more is that Greendot customer service reps are some of the nastiest people to ever deal with. They don't care at all about the customer and have a whole set of 'canned responses' so they don't have to actually 'talk' to you. They don't care about anything. They just charge their fee's and kick you when you are down. Want to be treated like total dirt? Buy a Greendot card. As for me, I switched to AMEX Bluebird. It's not accepted everywhere but I know they wont leave me stranded somewhere and use their card agreement as an excuse. Bottom line: Greendot is the worst. The green dot monthly fee is over US$ 7.00 not US$ 5.95. I used Bluebird from American Express. 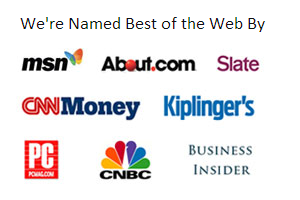 They say Bluebird is top prepaid card according to consumerreports.org No monthly fees or other hidden fees, no overdrafts, etc. It's like an alternative checking account. Free atm withdrawals at a Walmart or moneypass atms. Check writing options included.